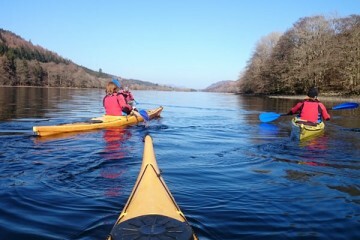 Active Highs will be running regular sea kayaking trips in the Great Glen area from spring 2016. We will be running half day and full day sea kayaking trips including pick up and drop off (for full days only) for up to 8 people per trip. 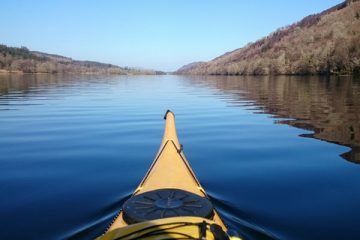 The Great Glen is a world class location for sea kayaking with an abundance of wildlife, water and stunning mountain scenery and is a great location for learning to sea kayak or enjoying a more sheltered kayak trip. 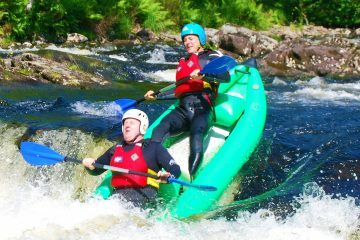 We are also able to offer tailor made sea kayak trips in Arisaig and around the west coast for full days including pick up and drop off at pre-designated locations in the Fort William and Lochber area. Arisaig and the west coast of Scotland is a fantastic location for sea kayaking trips with an abundance of wildlife, quiet & unspoiled white sandy beaches, turquoise sea and spectacular west coast mountain scenery.